Bachelor in Social Studies (Social Work) from Trinity College in Dublin. Postgraduate studies in the area of attachment and trauma in Ireland, the UK and Italy. Aoife Bairéad is an Independent Social Worker, Attachment and trauma informed specialist. She holds a Bachelor in Social Studies (Social Work) from Trinity College in Dublin and has completed postgraduate studies in the area of attachment and trauma in Ireland, the UK and Italy. This includes the Developmental Maturational Model of Attachment (DMM) and Theraplay. 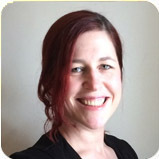 Aoife has over 16 years experience of working with children and their families in Ireland, the US and Vietnam. She has extensive experience working with children experiencing mental health difficulties including infant mental health, and those who have experienced separation, loss and trauma. Aoife specialises in attachment focused work and uses evidence informed interventions to empower families to find ways to improve their children’s and their family’s day to day lives. This is done holistically with those caring for the children, providing an individualised and family focused service that caters to families’ unique needs by focusing on agreed goals and outcomes.